Post news Report RSS	Alpha 0.5.9 released! Alpha 0.5.9 released. 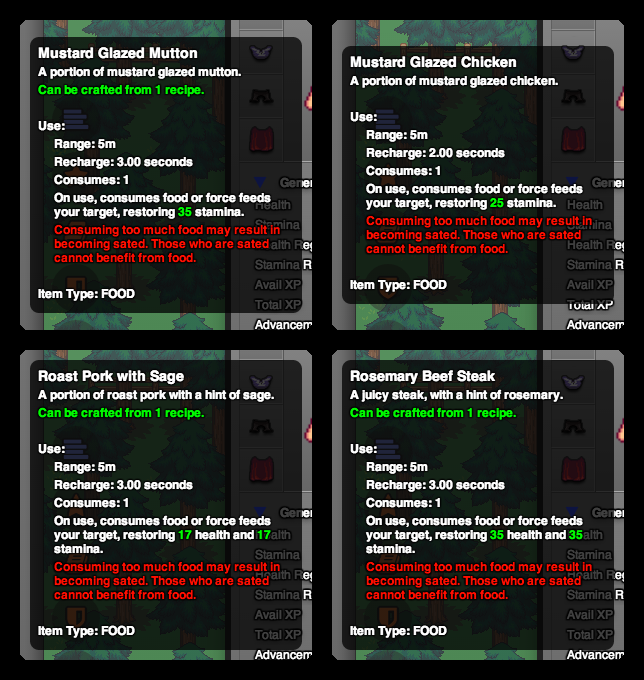 Important features: Passive regen, most actions now require stamina as a resource, player status UI, bug fixes, new advancements, crops, produce, foods, spells, and modifiers. WOW! Lugdunon has made it to the top 50 mobile apps of 2013, and is therefore eligible for finalist voting on SlideDB! Please consider casting a vote in our direction for the 2013 AOTY. Vote for Lugdunon in the 2013 App of the Year Awards! Passive regen has finally been implemented! This means that your characters will regenerate their health and stamina over time. 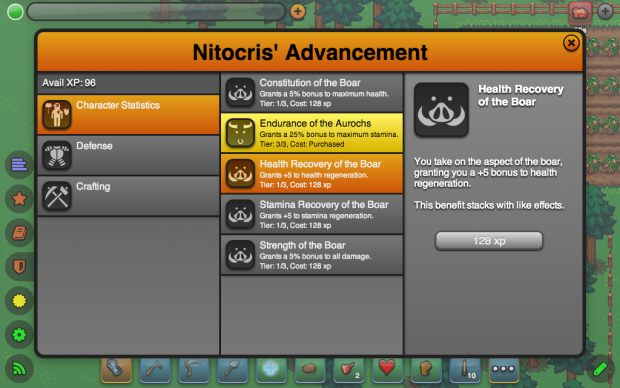 The rate at which health and stamina are regenerated can be enhanced via advancements, equipment, and modifiers. Stamina now finally plays a role in the world of Lugdunon, and it is a fairly major role. The majority of the actions that your player can perform now require a certain amount of stamina. From crafting to combat to farming you will find yourself depleting your reserves of stamina. Stamina can be regained via passive regen, as well as consuming certain types of food, since food can now restore stamina as well as health. One feature that Lugdunon was sorely lacking up until now was the ability to easily monitor your health and stamina outside of the party unit frames. A new player status UI, that sits just above the action bar solves this problem. Comprised of a health bar on the left, a stamina bar on the right, and an ability charge bar in the middle, this new UI element should suffice. The unit frame UI has also been updated to add a stamina bar in addition to the pre-existing health and charge bars. Two new advancements chains are available in 0.5.9, allowing players to enhance the rates at which they regenerate health and stamina. The chains each progress in three stages, offering +5, +10, and finally +20 to their respective regen rates. 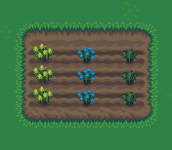 Three new crops are now available for cultivation: mustard, sage, and rosemary. New farmers will now start out with 32 seeds of all three in addition to their current starting inventory items. Each of the new foods benefits stamina in some way. 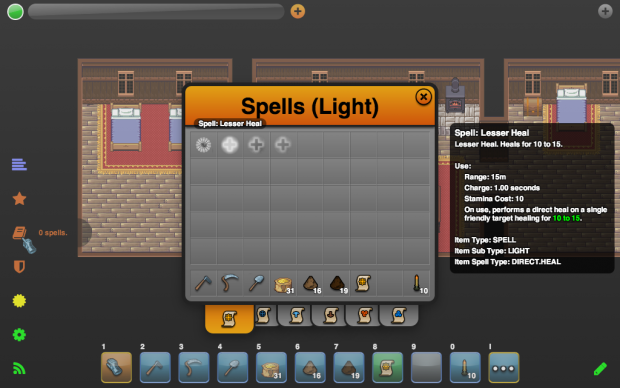 Two new spells, complete with scrolls and scroll research recipes, have also been added. 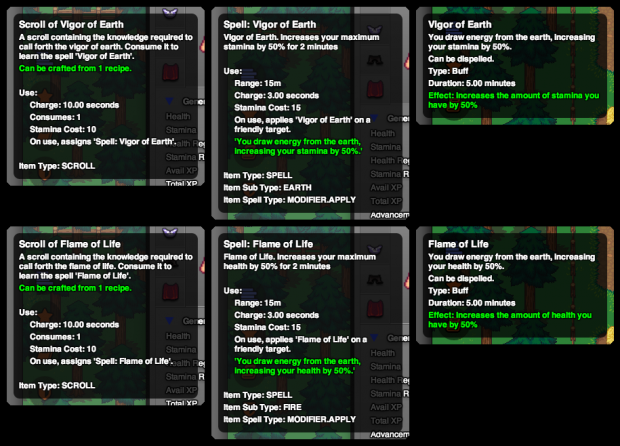 These spells each bestow a helpful modifier, boosting a character’s maximum health and stamina for a short time. Capes now bestow a bonus to stamina regen when equipped. The server list now displays the server’s location as a country name, instead of the previously used country code. 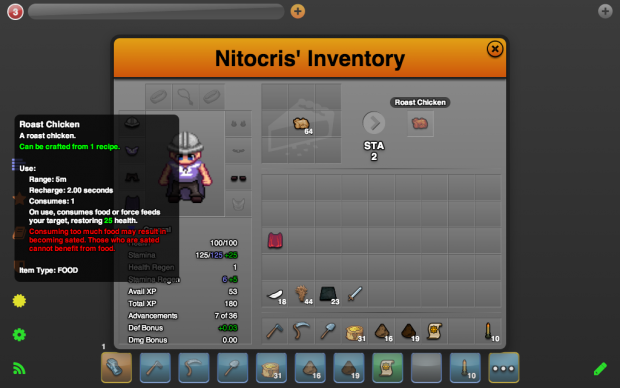 The item crafted metric reporting code has been fixed so that the statistics pane of the achievements UI will render now. Each entry in the item crafted metric will display the crafting discipline icon to the left of the item name. Audio assets are now loaded asynchronously. Since the music assets are some of the largest items loaded, this should reduce the initial load time a bit. Also, three new songs have been added! Fixed a few issues with metrics reporting. Also, the time played and last played values are now updated in real time and are accurate. The full change log for 0.5.9 is available here.